This is one of my favorite cookies but I don’t bake them very often though. I make a huge batch of these cookies during Christmas to giveaways together with other goodies. This recipe is very easy to make so anytime you have cravings with something sweet then try the chocolate crinkles. baking powder and vanilla until combined. 2. Slowly add the flour and beat. 3. Cover the mixture with cellophane wrap and chill in the fridge for about an hour or two or until easy to handle. 4. Shape dough into 1-inch balls. until edges are set and top is cracked. 8. Let cool on wire rack. Enjoy! 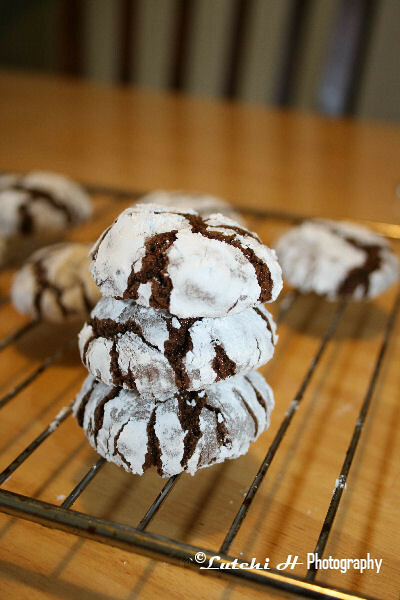 0 Comments On "Chocolate Crinkle Cookies"